The Lab depicts the University of Toronto laboratory where Frederick Banting and medical student Charles Best discovered insulin. 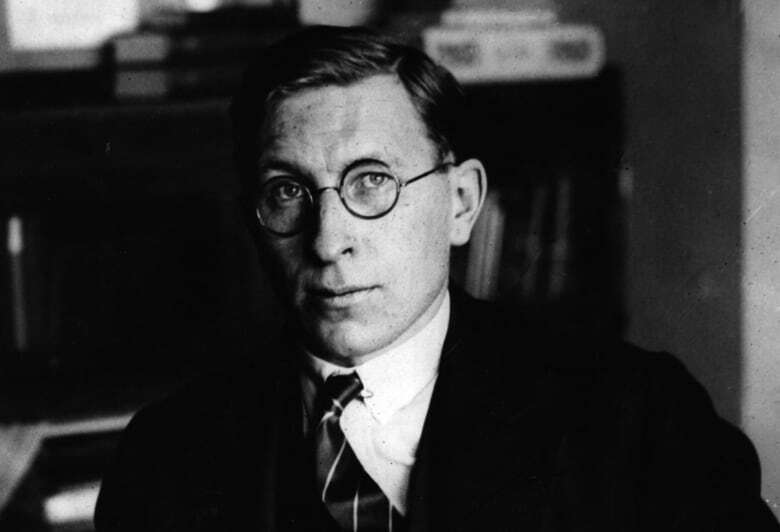 Dr. Frederick Banting is a household name, alongside Charles Best, for his discovery of insulin in 1921. But there was more to Banting than just medicine — he was also a prolific painter. He was friendly with several members of the Group of Seven, and often painted landscapes as a way to relax. He rarely depicted his day job in his art — except with one painting, The Lab. 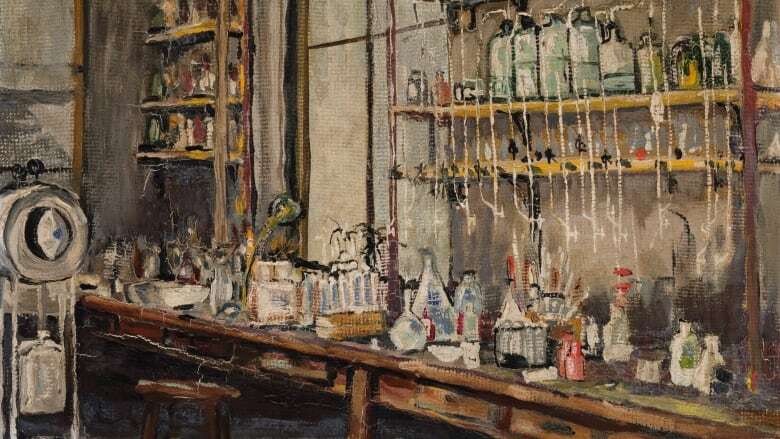 The 1925 oil-on-board shows the University of Toronto laboratory where he made the scientific breakthrough that would ultimately lead him to receive the Nobel Prize. Appraised at between $20,000 and $30,000, it will hit the auction block on Nov. 21 at the Heffel Fine Arts Auction House. 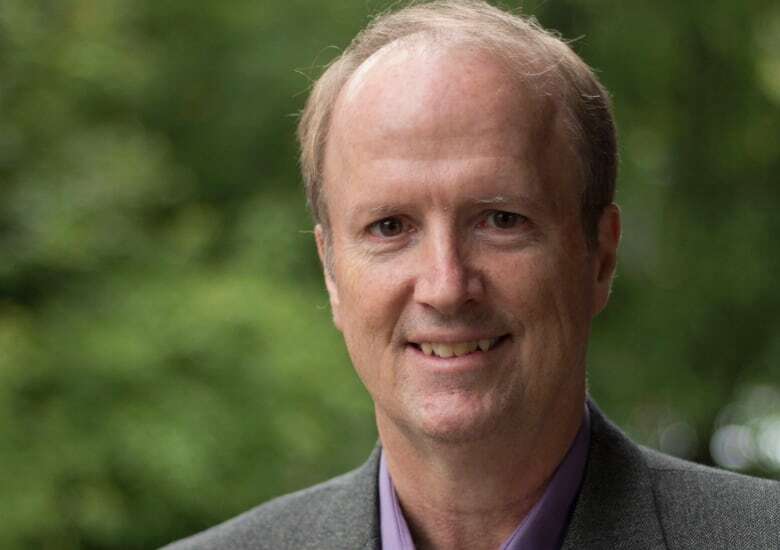 Medical historian Christopher Rutty will be watching the sale. He spoke with As it Happens host Carol Off about what was going on in Banting's life in 1925, and the painting's path since he created it. This painting — can you describe it for us? It shows a shelf of bottles and various lab research equipment — a bit of a mess, in some ways. It kind of reflects Banting's mood at the time. It was painted in 1925, just before he met A.Y. Jackson — who he would later go on to paint a lot of stuff with, and develop his style, more of a the Group of Seven outside landscapes kind of style. And he had just met Lawren Harris a little before that, and had joined The Arts and Letters Club, where the Group of Seven hung out, and Banting was given a membership. 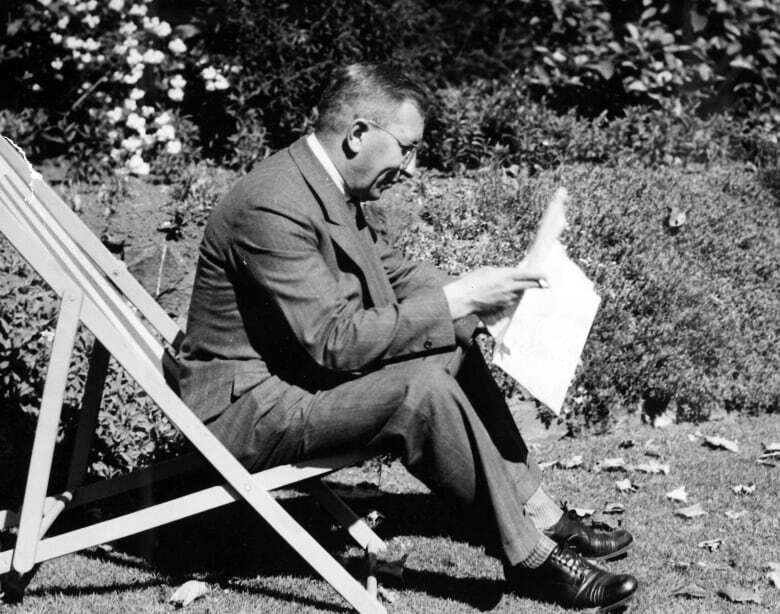 Banting never saw himself as an artist in the same sense as the other guys. But he appreciated the creative side of art, and he related to them on that level. But in '25, he was kind of in a bad place. Well, his marriage wasn't going that well. He was on the depressed side, I suppose, because he was the most famous guy in Canada: Nobel Prize winner, all kinds of pressure on him to do something — what's next after insulin?Frustrated. It wasn't that easy to recapture that glory. And the whole experience changed his life. And he didn't expect that. He would have been happier as a country doctor. But he had said at the age of 50 he wanted to just give up all the science and paint full-time, become the artist. And then he died at 49 in this plane crash. In 1941 he was involved with medical research for the military and he was on his way over to England when the plane crashed. He was getting back into the research mode — things were coming together a little better for him later on. But at this time, in '25, it was a very different period in his life — a turning point. And the painting, he gave to Sadie Gairns, his longtime assistant. And she passed it on to others. And where's it been all these years? She gave it to another research assistant. So she would've related to the scene, because she was a researcher herself like Sadie. He gave paintings to everybody — friends and colleagues. And Sadie was a particularly important person in his life. In what way? Was there a deeper relationship? They eventually had a bit of an affair — an encounter at least, in 1936 or so. But she was — in many ways — in Banting's point of view, more important than his wife. She understood him, and everything about the lab. She had a biochemistry background and experience. This painting is going up for auction in November. Where will the money go? The buyer's premium is going to the Banting and Best Diabetes Centre — an extra-departmental unit of the Faculty of Medicine at U of T, which is where all this started. Back home in some ways. Do you think the painting will stay home, stay in Canada? Well, I don't know about that. I mean it's great that some of the proceeds of the auction will come back to U. of T.
There's a lot of potential interest, because this is different from the usual Banting painting. Written by Alison Broverman and Kevin Ball. Interview produced by Alison Broverman. Q&A edited for length and clarity.